The moment mankind discovered how to control fire, mankind started to advance. That's when humans began to build communities, ocean liners, and skyscrapers - all because they learned to use fire, and use it to manipulate metal. For the men who work with metal and f ... (see full details) (see specifications) #JF1331-BK. The moment mankind discovered how to control fire, mankind started to advance. That's when humans began to build communities, ocean liners, and skyscrapers - all because they learned to use fire, and use it to manipulate metal. For the men who work with metal and fire, this Black Stallion Men's JF1331 BK Black TruGuard 200 Flame-Resistant Cotton Hooded Sweatshirt was made for you. When you work with metal and fire, you deserve more than safety - you deserve comfort, too. This flame-resistant sweatshirt is made with soft, natural cotton knit fibers to keep you comfortable all day long. Cotton is famous for being machine-washable, and it's easy to wear. In addition to softness, flame-resistant cotton also withstands scorching, melting, burning, and the heat you work with on a daily basis. Just show the flame-resistant label on the sleeve to any safety inspector for a nod of approval. Pull up the hood on the Black Stallion sweatshirt to protect your head, or take it off when you don't want it. Sturdy snaps keep it in place when you want to wear it. Either way, the welder's collar rises up to protect your neck as well. Even the full-front zipper is protected with a flap, so the tiniest sparks won't find chinks in your welding armor. The front pockets of the men's sweatshirt are protected with overlap closures to keep the stuff inside safer, too. Because you're a welder, there's a scribe pocket for your soapstone holder. Because it's designed in basic black, it's always in fashion whether you're on the job site or not. When you're a man who's learned how to control fire and metal, you need to control of your safety, too. Do it with this Black Stallion Men's JF1331 BK TruGuard 200 Flame-Resistant Cotton Hooded Black Sweatshirt from Working Person's Store. The high collar, for wind blocking, and the price. The description provided was insufficient because it did not describe the inside of the jacket. The inside is soft and has a flat fleece texture. I also like the knit cuffs and waist to keep wind out. It's substantial, but not extremely heavy. The snap off hood will be handy when I need a jacket, but no extra head protection. A well designed jacket. I am very happy with my purchase and I would buy this jacket again! Please add additional colors (like navy blue). This has been one of the more popular items for several of my welding employees that I order for. They not only wear the jackets at work but outside of work as well. It is easy to wash, comfortable, light weight, breathable material, and even better is it is flame resistant. You can't beat the pricing, especially with the high quality clothing. 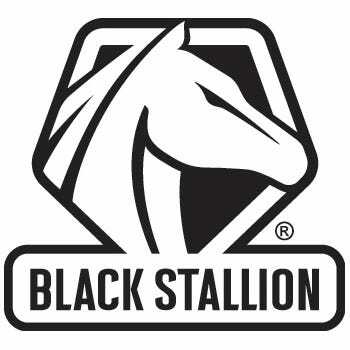 I purchased a lot of Black Stallion clothing. They definitely offer value for your money spent. It does have some downfalls though like the shrinking even if you don't put it in the dryer. It is also thinner than other brands for a sweatshirt. However, you can't beat the price on this item. I will say the wind got to me through this sweatshirt but if you layer up it would be no issue. If you have to purchase your own flame resistant clothing, this brand has a lot to offer. Do not expect top notch quality though. embroidered. They did an awesome job on the embroidery, it looks very professional. I have already recommended this jacket to my coworkers. Working persons has the most AWESOME customer service to work with. When it comes to hoodies I am very particular because I will spend a majority of my day wearing them . This Black Stallion hoodie is great and being that it is a zipper and not a pull over is even better. I absolutely love it. This being a flame resistant hoodie is just a bonus for what you get for the price. Black Stallion Sweatshirts: Men's JF1331 BK Black Flame-Resistant TruGuard Hooded Sweatshirt is being added to your cart.